Is there is thicker version available? I find this to be a great product, but it is quite thin, so it is only good for light-duty applications. If you use wire ties for anything (wrapping cords and cables for example) this is a must have. I have 2 different colors and use them quite often. Great for organizing all of your wires, easy to cut and the vinyl seems to hold for a long time. These are excellent twist ties, and I like that they come in a variety of colors. As noted in my list of Pros, they have some excellent aspects, and I use them all over the house and workshop. For general household use, this roll will probably last me several decades. For most purposes they work quite well, but I would have preferred something thicker. Although these ties hold small things quite well, they need to be doubled up, or can't be used at all, for larger things such as long extension cords, big bundles of computer wires, etc. It would be great if Monoprice introduced a thicker version of these twist ties, or multiple different thicknesses, to sell in addition to these thinner ones. 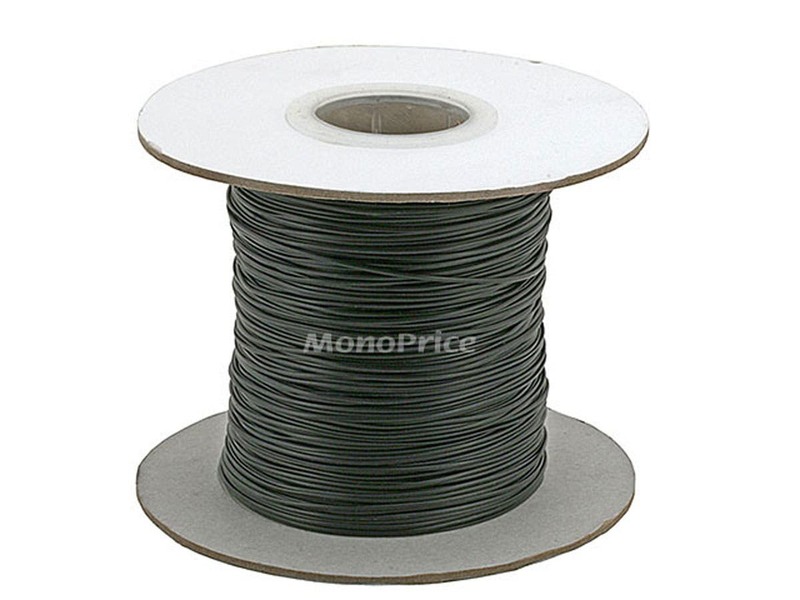 Nice high quality reel of wire tie. Will probably last me forever! Love monoprice for stuff like this. Solid. Good quality, and you can make a LOT of cable ties. The plastic cover is the smooth, rounded type so it doesn't feel cheap a must have for cable / wire management. PROS: A huge amount of tie, and good quality, for a great price. Excellent wire tie. The coating is smooth yet grips its self nicely. Large roll at a great price. Much better on the environment than zip ties in most situations (re-usable). Perfect for organizing your box/closet of cables and loose wires. Every time you buy something new, remember all those twist ties you tear through, leave all over the floor, throw out then eventually wish you still had them? 'Enter' PID 1407 - One of my personal favorites at MP. An essential for any household to keep wires & cables organized. This isn't the cheap sandwich bag twist tie wire either - it's serious electronics grade. Tip: turn the spool on its side and make 3-4 cuts from the outside in. These 'relief cuts' give you a place to hold the wire as you cut pieces off. Not that it would come unwound or anything, just helps keep things nice and tidy. PROS: Wire is thick enough to hold its shape, plastic coating makes it easy to work with, no pointed/sharp ends to cut yourself with. CONS: Someday I will run out. I would guess in around 30 years. Grey would be another color I'd consider buying. omg.. now i'll never run out of wire ties! I bought this not knowing what I was getting myself into, really I just wanted something a little more reusable than zip ties and archiving the multitude of cables that I end up collecting over the years. I love it and if I ever run out, I'd definitely buy it again. Highly recommended.